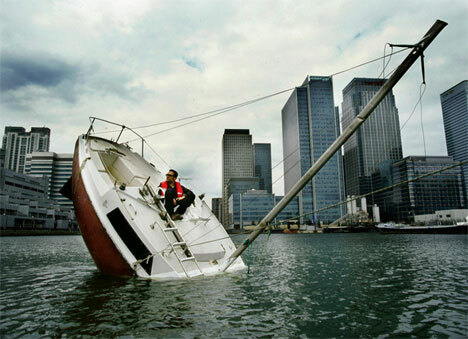 That guy sitting on the sinking boat looks pretty calm, doesn’t he? 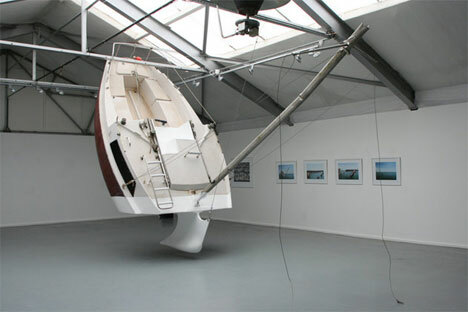 The boat isn’t actually sinking – it’s an inventive sculpture from Julien Berthier called “Love Love.” The “sinking boat” was made from a 6.5 meter yacht that was cut in half and modified to sit in its peculiar position in the water. Berthier has taken the boat, which is fully functional, out on plenty of trips. Its built-in motor lets it get around just like any other boat despite its bizarre looks. Although the artist doesn’t mention what the reactions to his creation have been like, we have to imagine he attracts plenty of stares. 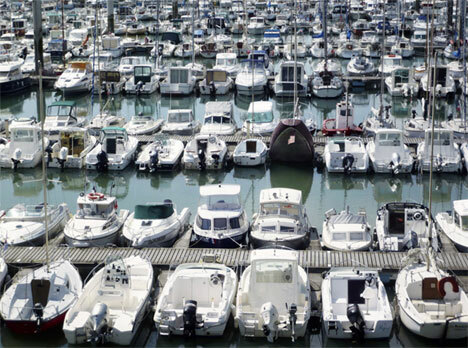 Let’s hope the boat never goes down for real…because who would notice? See more in Art Vehicles or under Transportation. November, 2010.